As I mentioned in my previous post, Google has bought the original Nik software, and as of March 2016, it is now available for free. Which is a wonderful opportunity for amateur and semi professional photographers who are operating on a tight budget. As I heard described recently, using software such as Adobe Photoshop, is like driving a basic model Mercedes car, everything is good quality, but relatively basic……….. but using Google Nik software is like driving a Rolls Royce, the quality of the end product is second to none!!! and click on the ‘Download’ button at the top right of the page. The Nik Collection can be downloaded for both Windows or for a Mac…………..I use a Windows pc, so I will be primarily describing the process for the Windows download. The software will automatically download to your downloads folder. To access your Downloads folder on a Windows pc, click on the Start button, then locate and click on your user name. A new window will open, double-click on the Downloads folder. The file will be called something similar to “nikcollection-full-1.2.11”. To access your Downloads folder on Mac, open your Finder and click on the Downloads folder, which is most often in the list on the left. The file will look something like “nikcollection-full-1.2.11.dmg” and end with a ‘.dmg’ extension. To install, double click on the Nik Collection file, if necessary press ‘run’ if a security pop-up appears, then click on ‘yes’ to allow software to make changes to your pc, and finally choose your appropriate language to start the set-up process. Follow the instructions from the pop-up window, ‘Welcome to the Nik Collection Setup’. The software requires at least 425Mb of free space on your hard drive. I saved the plugins to the location Google suggested, ie, C:\Program Files\Google\Nik Collection. During the setup process, you will be asked for ‘compatible host applications’, ie programs such as Adobe Photoshop or Apple’s Aperture, but since we are using this software as a standalone application, we can just ignore this, and press install. The software will then install to the appropriate location on your pc…………..this may take several minutes depending on the speed and size of your pc (Be Patient!! It’s well worth it!). Click ‘finish’ to complete the setup. Go to computer folder, and then locate Program Files. Locate and open the ‘Google’ folder. 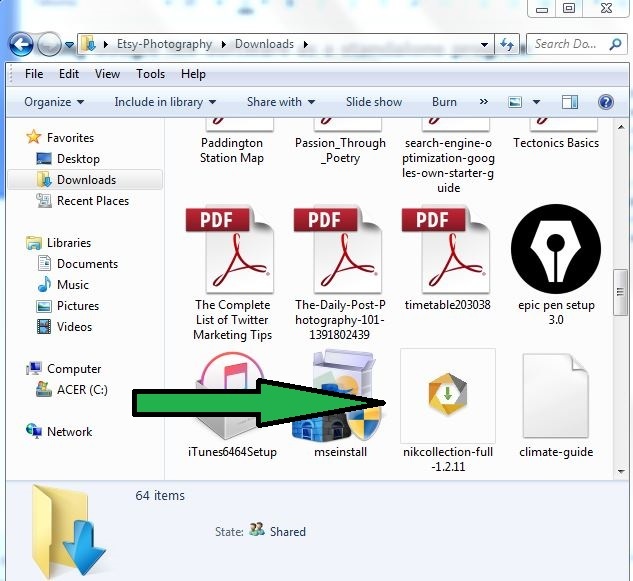 Find the appropriate plugin folder, and double click on the plugin application file. This will open the plugin software. In the top left corner of the running plugin, click on ‘file’. Go to the location of the image you wish to edit and click on it to open it in the Nik Collection software plugin (see screenshot – in this case the Silver Efex Pro plugin) . Go to the location of the image you intend to edit. Then open a second folder and go to ‘Program Files’. Open the appropriate plugin folder. If we want to use, for example, the Silver Efex Pro 2 plugin, open that folder. To open the image in the software, left click on your image. 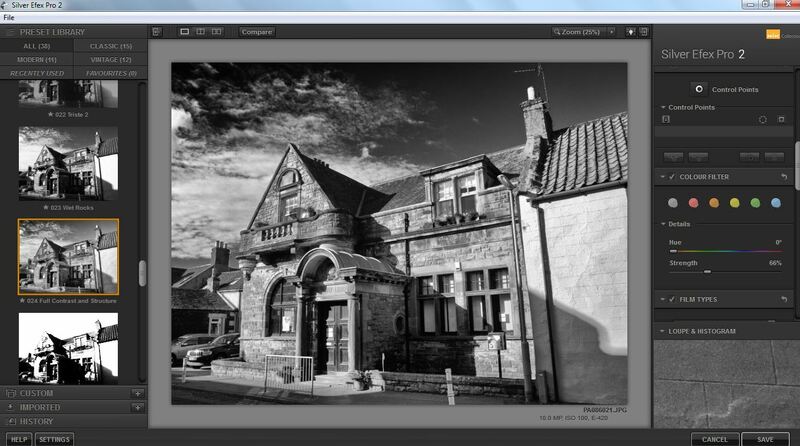 Drag the image over the top of the Silver Efex Pro 2 application file and release it. (See screenshot below). Wait a small amount of time, and your image will open up in the appropriate plugin, in this case, inside the Silver Efex Pro 2 software. As a word of warning, once you have finished editing your photo, go to ‘file’ (top left), and click on ‘save image as…..’ and MAKE SURE YOU CHANGE THE NAME OF THE ORIGINAL IMAGE……………otherwise the software will automatically overwrite the original file. The same will happen if you use the ‘Save’ button at the bottom right of the plugin. To be sure that this doesn’t happen, always MAKE A COPY OF THE ORIGINAL IMAGE BEFORE STARTING IMAGE EDITING!!! If you have any questions about this process, or comments in general, please let me know in the section below, and I will endeavour to answer them. This entry was posted in Fine Art Photography, Photography - Editing and tagged Nik Collection, photo editing, photo editing software, silver efex pro. Bookmark the permalink. Do you have to sign in to google to use nik Andy? Thank you Andy, I might give it a go, I find myself starting an edit on Elements and using apps on my tablet to add something extra. Brilliant idea ! 🙂 Thank you for sharing. Thanks for sharing this, Andy. I looked into the Nix software a couple of years a go but couldn’t really afford it. I’ll definitely be downloading it now it’s free! I hope you enjoy using it as much as I do!